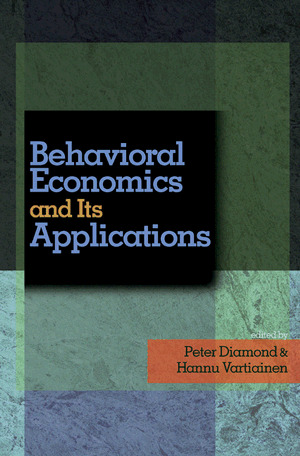 Applicationsargues that behavioral economics can have a similar impact in other fields of economics. In this volume, some of the world's leading thinkers in behavioral economics and general economic theory make the case for a much greater use of behavioral ideas in six fields where these ideas have already proved useful but have not yet been fully incorporated--public economics, development, law and economics, health, wage determination, and organizational economics. The result is an attempt to set the agenda of an important development in economics--an agenda that will interest policymakers, sociologists, and psychologists as well as economists. Contributors include Ian Ayres, B. Douglas Bernheim, Truman F. Bewley, Colin F. Camerer, Anne Case, Michael D. Cohen, Peter Diamond, Christoph Engel, Richard G. Frank, Jacob Glazer, Seppo Honkapohja, Christine Jolls, Botond Koszegi, Ulrike Malmendier, Sendhil Mullainathan, Antonio Rangel, Emmanuel Saez, Eldar Shafir, Sir Nicholas Stern, Jean Tirole, Hannu Vartiainen, and Timothy D. Wilson.